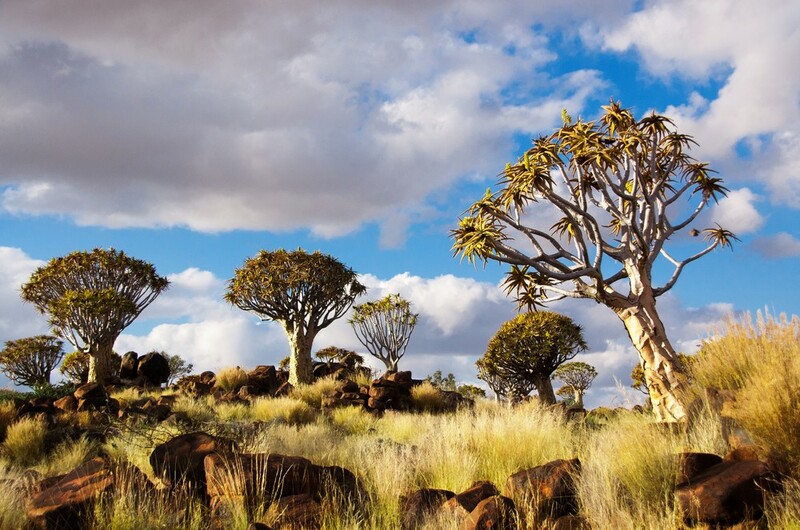 Sure, you’ll see quiver trees, Aloe dichotoma, all over southern Namibia, but it’s the sheer numer and size of the distinctive forked aloes found amoung the jungle of massive dolerite boulders on the Gariganuns farm outside Keetmanshoop that makes the Quivertree forest so magical. Take your camera and lose yourself in the floral wonderland, and then drive the short distance to the area’s other major attraction, the Giant’s Playground. The geologist will tell you otherwise, but I favour the romantic view that piles of the black blocks were laid down by creative giants. There’s camping, Igloo bungalows and guest-house accommodation on the farm. The dolorites at the quiver tree forest and giant's playground form part of the bigger sill complex. The dolorites are magma that was pressed up, but cooled off just below the earth's surface. The softer parts of the stone and the top layer of the earht's crust erodated away, which left the dolorites exposed. 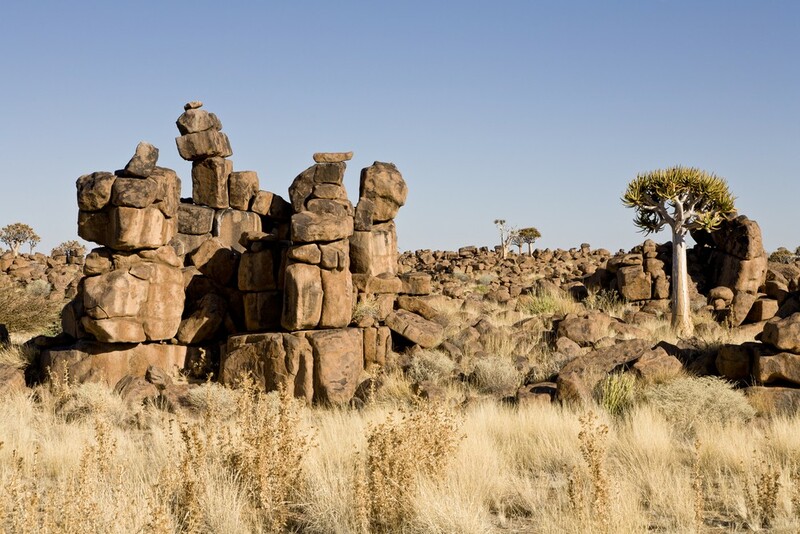 The dolorites are between 160 and 180 million year old, and in the Keetmanshoop region cover an area of 180 000 km2.